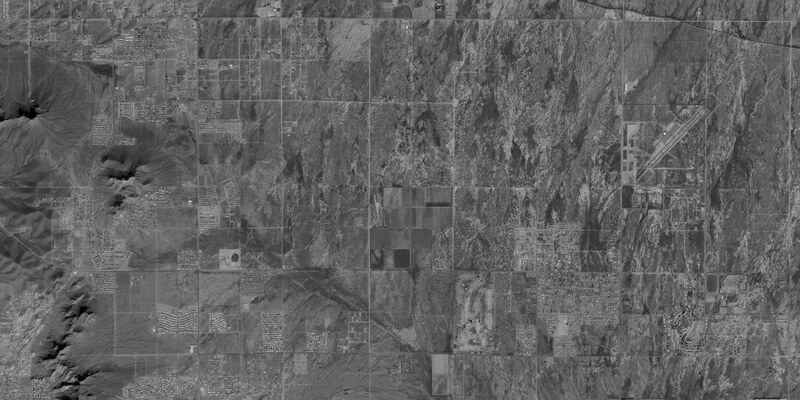 Founded in the 1950’s as Landis Aerial Survey in Phoenix, Arizona, Landiscor has been an industry leader and pioneer since its inception. Real estate professionals, engineers, and government agencies relied on us to provide a high quality, current aerial photograph. Customers would literally be lined up at the counter to view the latest images. Click on the arrows and drag the bar left or right to view the before and after images. Over the next few decades, Landiscor expanded into new markets and started to develop products that combined aerial photographs and detailed real estate information. In addition to selling photographs of a specific area, Landiscor began to create Wall Murals, Posters, Atlases and Photo Books that provided information for an entire metropolitan area. Major cities in the Southwestern United States were flown on a regular basis and combined with real estate information to create these innovative and incredibly detailed products. With film cameras and no photo editing or mapping software, the process then was quite different than it is today and a tremendous amount of effort went into creating each product. While technology has made it easier to create and work with these maps, our team of experienced professionals still takes great pride in creating high quality and extremely detailed products. Over the last 15 years, Landiscor started to offer proprietary mapping software products like Aerial Navigator and PhotoMapper. These were revolutionary products and became widely used among real estate professionals nationwide. We no longer offer these software products, but continue to provide digital aerial and satellite imagery in a variety of formats that are compatible with multiple mapping applications and GIS software programs. Landiscor has witnessed many changes in the aerial imagery collection and mapping industry over several decades. 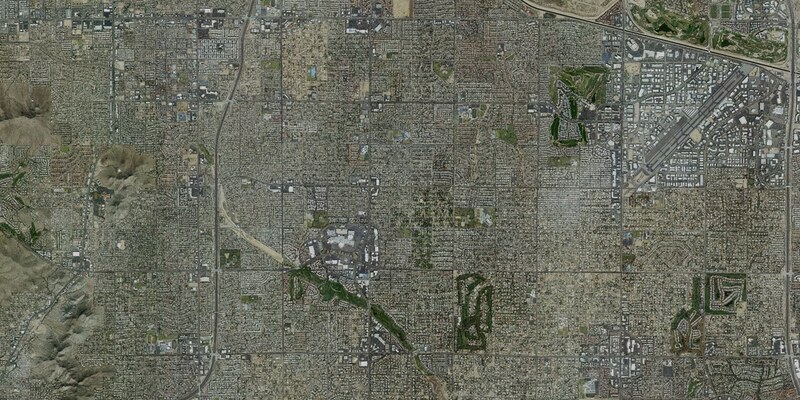 We have reached a point where aerial imagery is widely available online, but often in a format that is not easily compatible with our customer’s workflow or not high enough resolution to create a large poster or wall map. Landiscor has managed to adapt its business model and evolve to remain a key player in the industry. Click HERE to see who we are today and how we continue to be a trusted resource for real estate and GIS professionals nationwide. Copyright 2019 © Landiscor. All Rights Reserved. Website Design by N-ergizing Websites, LLC.